Hungarian public media's Kossuth radio conducted an interview on Sunday with Antal Rogán, Hungary's cabinet minister responsible for informing the public. The minister said Weber is trying to appease the pro-immigration left and that Fidesz should stay in the EPP as long as it does not change to the pro-immigration side, but he said it's strange that Brussels is more interested in the "Soros University" than the US government. QUICK NOTE - WHO IS ANTAL ROGÁN? 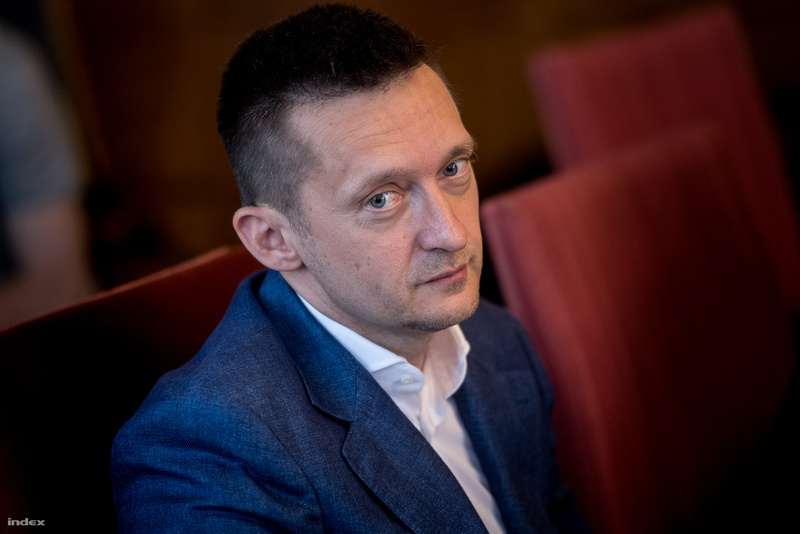 Often referred to as the "Minister of Propaganda," the 47-year-old cabinet minister and former mayor of Budapest's fifth district was one of the founding members of Fidelitas, Fidesz's youth section in 1996, and he went on to become a prominent figure of the party with a seat in the Parliament since 1998, holding parliamentary committee memberships and various leading positions within Fidesz throughout his career. As a minister, he has been responsible for the government information campaigns since 2015 (click here for our gallery) and for the general political coordination of the government's work. Rogán is a controversial politician known for a number of scandals, mostly related to his wealth and asset declarations. As a mayor, he was subject to accusations connected to suspicious sales of district-owned real-estate, and his private helicopter flight was the leading headline on the last cover of silenced political daily Népszabadság. "Why are we, Hungarians, or the Hungarian government, not as flexible as Manfred Weber? Why do we need to go directly into so many conflicts? Maybe we should be more like him, he comes here to smile at us when he wants to make peace, and only wrinkles his forehead again when he is back in Germany." Rogán responded by explaining that Weber, in order to achieve his political goals, is courting many people at the same time, because he believes that without the votes of the "pro-immigration left," he could not become President of the Commission, so he is trying to appease that segment. Rogán added that what Weber says oftentimes does not align with the original EPP positions, some of which are still not pro-migration. "For Fidesz, remaining in the European People's Party is only worth it as long as the group has not yet completely changed to the pro-immigration side." The minister said that Fidesz has to fight for a renewal of Europe within the political group as long as there is a chance to elect leaders who stop immigration and are capable of protecting Europe's border and its Christian culture, and as long as their common cause is that Europe should remain Christian and it should belong to Europeans, Fidesz shall fight alongside the EPP. "The posters that offended the bureaucrats in Brussels had already been plastered over. Viktor Orbán had apologised for his use of the phrase "useful idiots" and for his belligerent style. How long is the Hungarian government willing to go to still give the EPP this opportunity?" "This still doesn't mean that we're forgetting about what we've been saying over the past couple of weeks. We said that because we were serious about it." "It seems that for many in Brussels, the university of George Soros and the interests of George Soros are still more important than for the US government." He referred to Weber's offer concerning CEU by saying that there are proposals with support from Bavaria, but "these proposals are just verbal, we are yet to receive any official offers," but if the Hungarian government does receive an offer with a solution that does not require the amendment of Hungarian laws, the government is definitely "willing to study it."